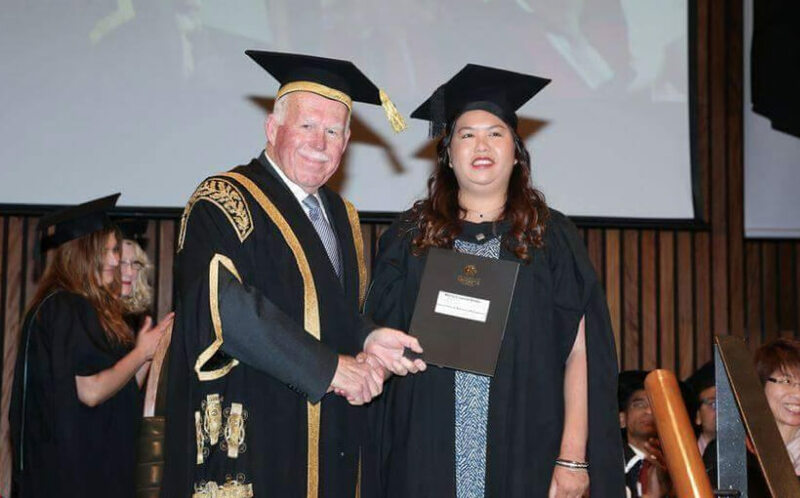 When Krissy moved from the Philippines to Australia to study a Master’s degree in human resource management, she discovered an increasing need for Be My Eyes in her daily life. She was living on her own, far away from family and friends, an encountered many unknown situations in an unfamiliar environment. It feels like I’m with friends or with family members, because [the volunteers] are human beings. In Australia, Krissy used Be My Eyes every time she would do her laundry. To access the machines in the laundry room, she had to swipe her student ID in order to pay. The device in which she would swipe her ID had a screen that flashed a message when a card was swiped successfully. But because Krissy couldn’t read the message on the screen, Be My Eyes became her go-to resource. Another situation where Krissy often used the app, was to navigate outside of her building in Australia. One particular lamppost served as her marking point when Krissy was on her way out. She used it to ensure that she was going in the right direction. But the pathway to the lamppost imposed quite a challenge with its curves, so Krissy used the help of a volunteer to reach this post, and navigate on her own from that point on. Krissy lives an active life: She loves playing sports, going out to cafés and doing things independently. Be My Eyes helps keep things running smoothly. Even though she has now completed her Master’s degree and is back in the Philippines, the app will continue to be a part of Krissy’s day-to-day life. I will not stop using Be My Eyes, because it’s part of me, it’s part of my independence.